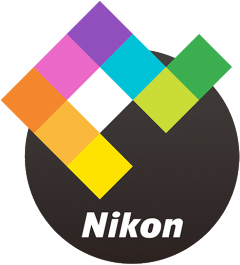 Together with a new download centre, Nikon also released a number of updates. ViewNX‑i is the replacement of Nikon's ViewNX2 image browser software. It works together with Capture NX-D (version 1.2.0 and higher) and comes bundled the ViewNX Movie Editor. Support for the D7200 has been added. A Show ViewNX-i option has been added to the Tools menu. A Show it with ViewNX-i option has been added to the When a new image is received from the camera item in the Transfer Options dialog accessed from the Tools menu > Transfer Options…. Support for RAW images captured with the D7200 has been added. An Open with ViewNX-i option has been added to the File menu. An Open with ViewNX-i tool (icon) has been added to the toolbar. When NEF-format images were converted to a different format after cropping, the portion of the image remaining after conversion did not always correspond to the actual crop applied. This issue has been resolved. Supports NEF (RAW) images taken with the D7200. Support for the Communication Unit UT-1 Firmware Ver. 2.3 has been added.